Two years ago – on March 10, 2008 – I commented on the acquittal of Gus Kouwenhoven, also known as Guus van Kouwenhoven, a Dutch timber trader and business partner of Charles Taylor, accused of illegal arms trade for his business partner, and I lauded the Dutch judiciary system – see my March 10, 2008 blog posting. Today I repeat my praise. I just heard the news that the Supreme Court of the Netherlands has overturned the acquittal of Kouwenhoven and ordered a new appeal hearing. The Dutch Supreme Court said that appeals judges had been wrong to reject a prosecution request to hear two anonymous witnesses. Consequently, Mr. Gus, as he is known in Liberia, will have to stand trial again. Meanwhile he remains a free man. The Dutch businessman Gus Kouwenhoven first came to Liberia in the late 1980s after shady deals in the USA where he had been convicted and sentenced to two years jail. In Liberia he became General Manager of the famous Hotel Africa, near Monrovia, later he went into the logging business and became Chairman of the Malaysian Oriental Timber Company, one of the largest timber companies in the country, and Managing Director of the Royal Timber Company. He also was a member of the Board of the Forestry Development Authority, a Liberian governmental institution mandated to regulate and supervise forest exploitation and timber production in the country. In 2000, it was reported that Gus Kouwenhoven belonged to Taylor’s ‘inner circle’ and in the UN’s Expert Panel Report on Sierra Leone (2000) he was accused of active involvement in arms smuggling. He subsequently was hit by an UN travel ban though this did not prevent him from seeking refuge in Congo. In March 2005 he was arrested in Rotterdam, the Netherlands, where he had travelled to visit his family. 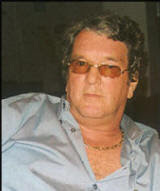 In 2006, the District Court of The Hague sentenced Gus Kouwenhoven to 8 years in prison for illegal arms trade, but on March 10, 2008 the Dutch Court of Appeal overturned the 2006 conviction and acquitted Kouwenhoven of all accusations including allegations that he had participated in war crimes in Liberia. In December 2009 one of Charles Taylor’s secret bank accounts was revealed by Prosecutor Nicholas Koumjian during the cross-examination of Charles Taylor at the SCSL in The Hague. Nicholas Koumjian ended the last hearing of the year with a sensational piece of evidence: a hitherto unseen statement from a personal bank account opened by Taylor in December 1999. Even more sensational was Taylor’s admission that it was a “covert account opened up by the Government of Liberia during this period, to fight our war”. According to the evidence two major deposits were made in 2000: US $ 2 million from Natura Holdings, owned by Gus Kouwenhoven, and US $ 3.5 million from the Taiwanese embassy in Monrovia. Taylor admitted that the money was used to buy arms. Taylor’s statement seemingly contradicts previous statements by Kouwenhoven denying accusations that money from his company or companies was ever used to buy arms. The UN Expert Panel Report of 2000 had already linked him to arms purchases from the notorious arms dealer Victor Bout, an allegation that was also rejected by mister Kouwenhoven. Oscar Wilde in his The Importance of Being Earnest already acknowledged that ‘The truth is rarely pure and never simple’. I wish the Dutch judges all the wisdom they need to arrive at the right conclusion and a fair judgement that does justice to the interests of all victims of the Second Liberian Civil War (1999 – 2003). This entry was posted in Charles Taylor, Civil War(s) Liberia, Gus Kouwenhoven, Liberia, Liberian History. Bookmark the permalink.